To approach Scripture simply to satisfy one's desire to know, means to give in to the temptation of pride and thus expose oneself to the risk of falling into heresy. Intellectual humility is the main rule for one who seeks to penetrate supernatural realities flowing from the sacred book. Humility, obviously, does not exclude serious study; but in order to make this result in spiritual profit, consenting to truly enter into the profundity of the text, humility remains indispensable. Only with this interior attitude does one finally truly hear and perceive the voice of God. Moreover, when it is a question of the word of God, understanding is nothing if the comprehension does not lead to action. In this perspective, he proposes his thought through some significant binomials -- know how/do, speak/live, know something/act -- in which he evokes the two aspects of human life which should be complementary, but which often end up by being antithetical. The moral ideal, he comments, consists in achieving always a harmonious integration between word and action, thought and commitment, prayer and dedication to the duties of one's state: This is the road to attain that synthesis thanks to which the divine descends into man and man is raised to identification with God. The inspirational principle, which links together the various addresses, is summarized in the word "praedicator": Not only the minister of God, but also every Christian, has the duty to make himself a "preacher" of what he has experienced in his own interior, following the example of Christ who became man to take to all the proclamation of salvation. The horizon of this commitment is eschatological: The expectation of fulfillment in Christ of all things is a constant thought of the great Pontiff and ends by being the inspirational motive of his every thought and activity. From here flow his incessant calls to vigilance and commitment to good works. Perhaps the most organic text of Gregory the Great is the Pastoral Rule, written in the first years of his pontificate. 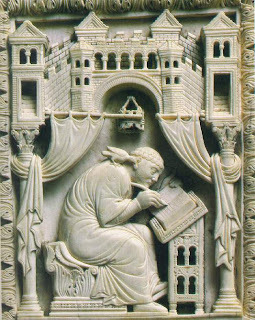 In it Gregory intends to delineate the figure of the ideal bishop, teacher and guide of his flock. To this end he illustrates the gravity of the office of pastor of the Church and the duties it entails: Therefore, those who are called to such a task were not called and did not search for it superficially, those instead who assume it without due reflection feel arising in their spirit an onerous trepidation. Taking up again a favorite topic, he affirms that the bishop is above all the "preacher" par excellence. As such, he must be above all an example to others, so that his behavior can be a reference point for all. Effective pastoral action requires therefore that he know the recipients and adapt his addresses to each one's situation. Gregory pauses to illustrate the different categories of faithful with acute and precise annotations, which can justify the appraisal of those who have seen in this work a treatise of psychology. From here one understands that he really knew his flock and spoke about everything with the people of his time and of his city. The great Pontiff, moreover, stresses the daily duty that a pastor has to acknowledge his own misery, so that pride will not render vain -- before the eyes of the supreme Judge -- the good he accomplished. Therefore, the last chapter of the rule is dedicated to humility. "When one is pleased about having attained many virtues it is good to reflect on one's own insufficiencies and humble oneself. Instead of considering the good accomplished, it is necessary to consider what one has failed to accomplish."